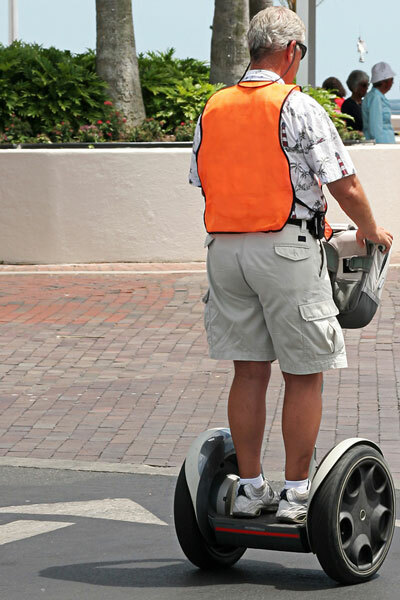 A man in an orange safety vest uses a Segway scooter to cross the street and enter a brick pedestrian area. Segway scooters enable users to travel short distances in a way that is quick, economical, and good for the environment. Hop on for recreation, to run errands, or just to run around town!